In the 35-year marriage I've been blessed to be part of, there have been some very rewarding times and some frustrating times. Unfortunately, some of those frustrating times have been associated with the Church. As much as I love being a pastor's wife (most of the time), there have been days I wish Mike had become a businessman or a doctor--anything other than a minister! From insensitive comments to a very hurtful firing, I have run the gamut of emotions and responses. But, I can honestly say that the hard times have been the times we've grown closer together. When your faith is tested, there is something wonderful about having the love of your life by your side. You hurt for him; he hurts for you. You both hurt for the children and the family. You know in your heart you will survive and come out stronger. There's a lot of hope in that. If the church is the source of the hurt, leaning on friends is often out of the equation. You're all one another has. So you lean on one another, comfort each other and stand up for one another. It's some of the best stuff of marriage. If you're going through a rough spot, remember to take advantage of the relationship God ordained when you took those vows. Blame and accusations have no place in these times; they will only tear you apart. As women, we have a God-given empathy our husbands so desperately need in hard times. Our husbands' emotions and self-confidence are fragile in times like these. They need our encouragement, love, our tender touch. They need to see us smile and tell them that we'll get through it. And as wives, we reap the benefits of our loving attitudes. Our men will treat us accordingly. And our children will be secure seeing their parents loving one another so well. Everyone wins. I hope you all have a blessed day, and you continue to grow stronger as ministry couples! 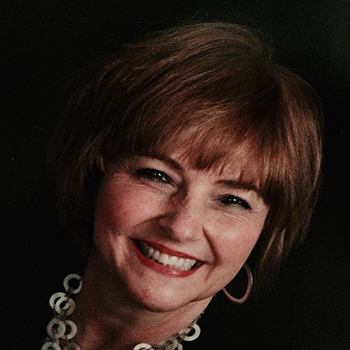 Julie Copeland is a pastor's wife in China Spring, Texas. She and her husband Mike are empty-nesters after raising five children. Julie enjoys her wonderful church family and has a jewelry business.